Honeywell Movilizer is the Cloud Software for Field Operations to drive Enterprise profitability in manufacturing and services. The Movilizer Cloud acts as a Mobile Enterprise Application Platform (MEAP).App is for Honeywell Employees, Customers, Business Partners of other companies. Honeywell Movilizer is the Cloud web-based Software for Field Operations that drives enterprise profitability at large manufacturing and services companies, by empowering you to deploy nimble and dynamic strategies in the field. Unlike other competitors, who are providing silo solutions, the Movilizer Cloud connects and orchestrates field operations actors with each other even across company boundaries. 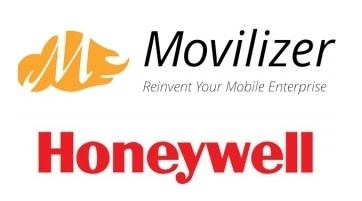 Honeywell has completed its acquisition of privately held Movilizer, which created one of the world’s first cloud platforms for field service applications. Movilizer is used by remote workers performing service or maintenance, sales and distribution, and warehousing activities away from the office. Movilizer’s multi-tenant, cloud and mobile applications are currently used by more than 200 multi-national companies in 30 countries, executing more than 1.5 million mobile business application transactions daily in the utility, manufacturing and engineering, transportation and logistics, and consumer packaged goods industries. The platform allows customers running SAP for example, to more quickly build native mobile applications from scratch inside SAP or to rapidly deploy out-of-the-box mobile applications for service, maintenance, sales, distribution, warehouse or track-and-trace environments in just days.